At age 32, Doug Larsen didn't look like someone who would have a stroke. But he did. Fortunately, prompt diagnosis and treatment curtailed the damage and helped speed Doug's recovery. While Doug Larsen, 32, hung out with his boys and sipped coffee at a shop in Red Wing, Minnesota, last year, he slowly began experiencing double vision. A physician assistant at Mayo Clinic Health System in Red Wing, Doug was well-aware that wasn't a good sign, especially as the troubling symptom persisted. "After an hour, I realized I couldn't text anymore," Doug says. "I was trying, but I couldn't form the words. It was strange to see the letters coming out wrong. I work in the Emergency Department, so it became clear what was happening. I was having a stroke." Doug's symptoms continued to progress. Luckily, his wife was in a meeting just two blocks away. After receiving Doug's texts, she ran to the coffee shop and called an ambulance. By the time he arrived at Mayo Clinic Health System in Red Wing, Doug couldn't speak or move the right side of his body. "My 1-year-old and I were at the same level of speaking," he says. Although strokes often are perceived as problems for older adults, several conditions can cause them in younger people. "I don't look like the kind of person who would have a stroke," Doug says. "I'm in fairly decent health and shape." Providers in Red Wing initiated a telestroke session, in which stroke experts at Mayo Clinic Hospital — Rochester examine patients remotely using a computer interface that allows them to see and speak with patients. "I wanted to answer their questions, but I couldn't at that point," Doug says. "Then I lost consciousness." A standardized, evidence-based process is used to treat stroke patients across all Mayo Clinic Health System sites. Patients first receive a CT scan. That's followed by initiation of the telestroke service. Next providers ask patients a set of questions that help gauge the severity of the stroke on a scale of 0 to 42, with 42 the most severe. An EKG and lab tests come next. The patient then typically receives a tissue plasminogen activator, also known as a clot-busting medication, and he or she is transported to Mayo Clinic's Rochester campus for ongoing care. 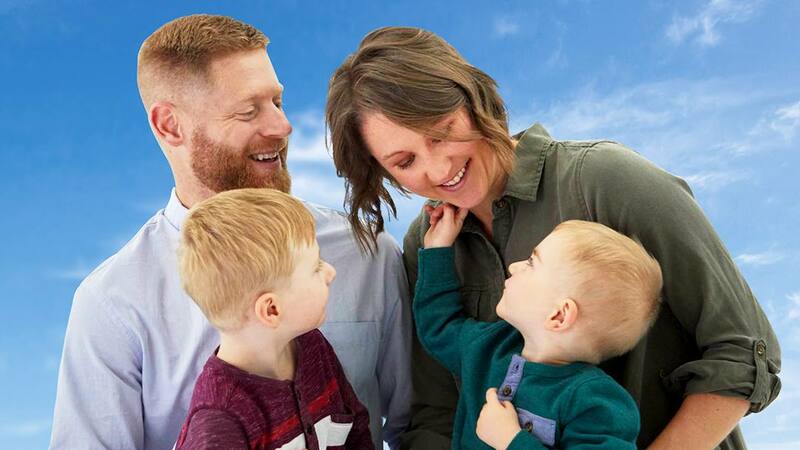 The specialist who remotely diagnosed Doug recommended a helicopter flight to Mayo Clinic Hospital – Rochester, Saint Marys Campus for emergency treatment. After a CT scan and EKG, Doug was given a tissue plasminogen activator in Red Wing, and the treatment continued throughout the helicopter flight. "I don't remember the helicopter ride to Rochester, but I woke up in the CT scan room" after an additional scan there, he says. Doug soon regained full movement of his body and could speak again, albeit slowly. After an overnight stay in the hospital, Doug learned he had experienced a type of stroke called a paradoxical stroke. It was caused by a blood clot slipping through a hole in his heart and traveling to his brain. The hole was news to him. "I had no idea that there was a hole in my heart before the stroke hit," he says. "I hadn't had any symptoms before that." His treatment required surgery that involved installing a permanent device into his heart. Doctors used a groin catheter to place the device, which Doug describes as being "like two umbrellas side by side that clamp down on the hole. It's brilliant in its simplicity." It took about a week for Doug to regain more normal speech patterns. He says to this day he still has to concentrate on his voice inflection and cadence, especially when he's tired. He is doing well, but he does have to take a baby aspirin daily. "I've had procedures and medications now that are typical of my 65-year-old patients," he says. Between Doug's knowledge of stroke symptoms and the quick response times from the ambulance, providers at Mayo Clinic Health System in Red Wing and specialists at Mayo Clinic's Rochester campus, he was diagnosed and treated promptly. That fast action likely saved his life. "I knew that if I wasn't treated quickly but survived, there were so many things I wouldn't be able to do anymore," he says. "This could have been a devastating stroke." Doug is now back to his 32-year-old lifestyle, enjoying his family and appreciating every day. He says the best speech therapy he has had is reading Dr. Seuss to his kids every night. "I've found myself being more conscious of what I do with each hour of the day, not letting them slip by and not dwelling on negative things," he says. Since his stroke, Doug is relishing the opportunities to enjoy his favorite hobbies, such as mountain biking, rock climbing, rappelling around Red Wing, canyoneering through Zion National Park in Utah, and bow hunting for elk in the mountains of Colorado. "I enjoy the ordinary things," he says. "Because there was a good chance I'd be unable to do those things if that day hadn't gone exactly like it did." Read about telestroke care at Mayo Clinic. Connect with others talking about strokes and cerebrovascular diseases on Mayo Clinic Connect.